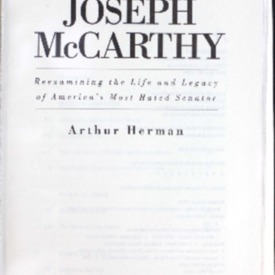 Herman, Arthur, “Joseph McCarthy : reexamining the life and legacy of America's most hated senator,” One Book. One Author. One Hour., accessed April 21, 2019, http://booknotes.gmu.edu/items/show/475.